The Living Archive project has a number of items digitised but not yet available on our website. This is usually because we haven’t yet found the named creators of the material, to ask their permission to include them. While we already have permission from the copyright holders (usually the NT Department of Education or another organisation), the project team wants to go beyond this and make sure that the creators are happy for their materials to be available on our open access website under the Creative Commons license. It has been difficult to find people, especially in communities that didn’t have bilingual education programs, where we don’t have such strong connections, so we often rely on local people or regular visitors to these communities to help us get permission forms signed. 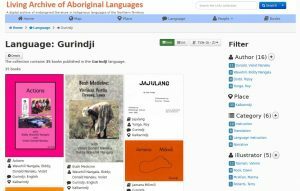 Working with local linguist, Erika Charola, we’ve been working to find a process that would be suitable for the community at Kalkarindji/Daguragu so that we could make public a collection of Gurindji materials. Our project manager had the privilege of visiting the community last year during Freedom Day 2016, the 50th anniversary of the Wave Hill walkoff, but with all the celebrations that weekend it wasn’t appropriate to find people to sign forms. We printed copies of the digitised materials we had, and sent them to Erika at Kalkarindji school to show around and ask people what they thought about having these materials on the Internet. In the leadup to Freedom Day this year, we got permission for a number of books to go ‘public’ on the Living Archive website. You can see these books here, and we hope more will become available soon. Getting permission for materials is one of the most challenging parts of growing the Living Archive, so we really appreciate the help we get from people in community. If you’d like to help us make more materials available, and you have connections in some remote NT communities, contact us to find out more about how you can be involved. This entry was posted in User stories and tagged permissions on August 27, 2017 by Cathy Bow. Project manager Cathy Bow recently visited Wurrumiyanga on Bathurst Island in regard to the collection of Tiwi books for the Living Archive project. Wurrumiyanga was one of the first communities I visited when the project began in 2012, and Tiwi is still one of my favourite collections of books. Wonderful stories with incredible illustrations, good metadata (identifying who wrote and illustrated each book, what year it was published, etc.) and almost all with English translations. 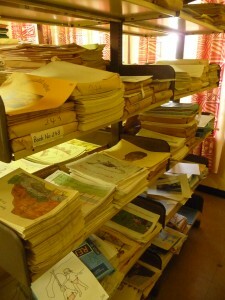 The Literature Production Centre at MCPS (Murrupurtiyanuwu Catholic Primary School) has a resource room with lots of copies of each book, in numerical order, some carefully packaged up to protect them from dust, all carefully preserved and easy to access. I travelled with Ailsa Purdon, the language and literacy advisor from the Catholic Education Office. 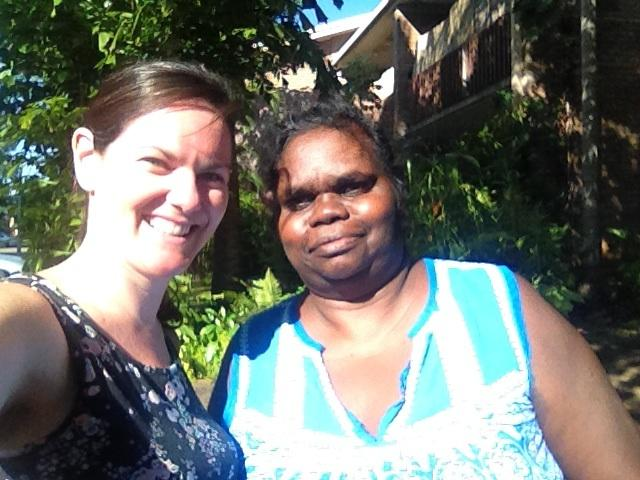 She spent time with Fiona and Millika, helping them develop resources for teaching Tiwi language and culture in the classrooms. They were excited to see the books on the Living Archive website, and Fiona was enjoying reading the stories aloud and explaining them to us. The illustrations she made for Ngirramini ngini Japarra amintiya Purrukuparli (The Tiwi legend of Japarra and Purrukuparli) are incredible. We met with the school principal, Daniel Graves, who was delighted to hear about the Living Archive project and keen to see it used in the classrooms. We discussed ways the materials can be used not just in Tiwi language classes, but also in history, science, English, and other parts of the school curriculum. 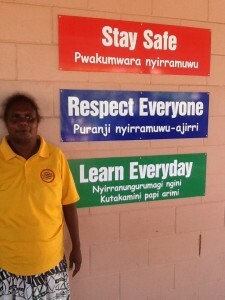 He’s planning to get the LAAL Reader app to get all the Tiwi books on to the school’s iPads. Since we think it’s important to get approval from the original creators of the materials to put them on our open access website, I spent time going around the community with Dulcie Tipungwuti. She introduced me to many of the people who either worked in the LPC or were involved in telling or writing stories, or making illustrations. Everyone was happy to sign the permission form and was pleased to know that the books hadn’t been forgotten. There are still several people we haven’t found yet, but we’ll keep trying! Sister Anne Gardiner has done amazing job keeping up the Patakijiyali Museum, with a focus on language and culture, including the sale of Tiwi language books and exhibitions incorporating Tiwi language. 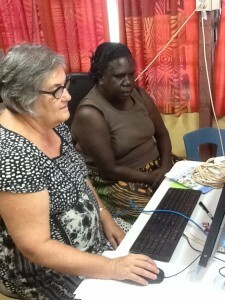 Sr Anne has been a long time advocate for Tiwi language and culture over many decades, and has been very helpful to the Living Archive project since it started. 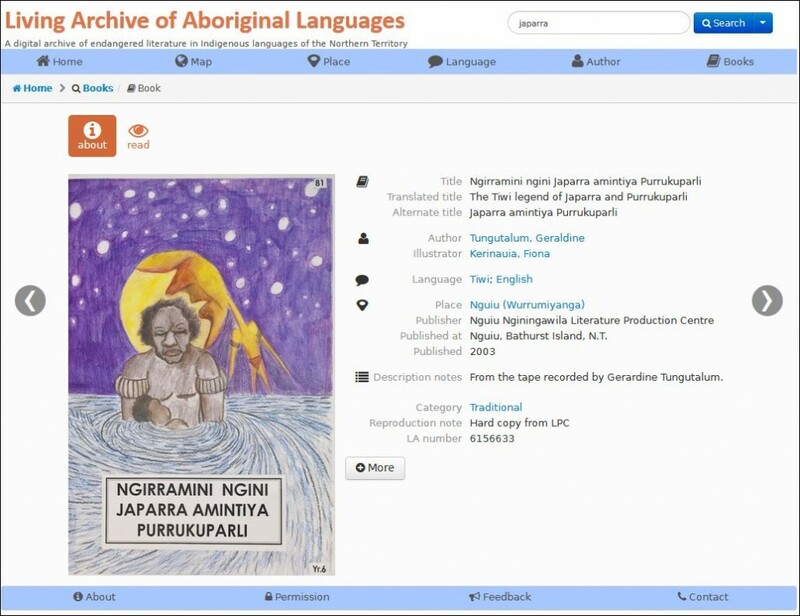 I brought back more Tiwi language books to be scanned and uploaded to our archive, and with the signatures we managed to get I can release more books to public view on the website. We also found a video and an audio file to upload. We look forward to hearing about the exciting ways this fantastic material is being used in the school and the wider community. 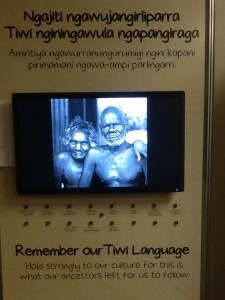 This entry was posted in Activities and tagged engagement, LPC, permissions, school, Tiwi on March 26, 2015 by Cathy Bow. Marion Waiguma Cebu was a great help to the project when she went out with Haidee to find authors and illustrators from Maningrida Literacy Production Centre and Maningrida School. 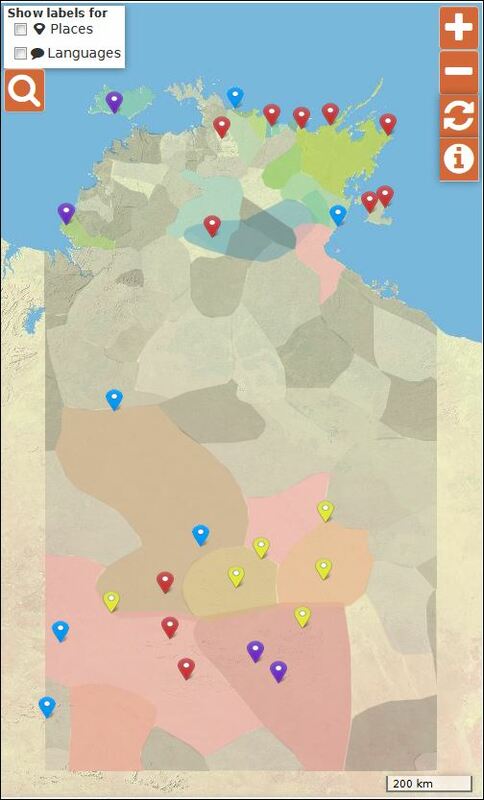 Waiguma tracked down people that live in Darwin, or were visiting or attending appointments. Waiguma and Haidee spoke to people across Darwin and Palmerston in shopping centres, communities, homes and bush camps. Waiguma not only located the individuals but also translated as well. With their signatures we can put more books from Maningrida on our website. 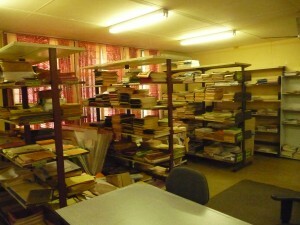 If you know of people who can give permission for books to be uploaded to the Living Archive site, please contact us. This entry was posted in Activities and tagged engagement, Maningrida, permissions on June 27, 2014 by Cathy Bow.